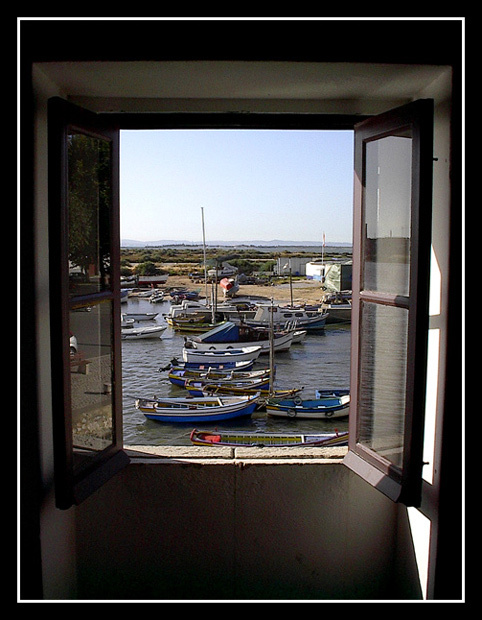 View of anchoring-place of Tejo river, Portugal. A very good composition, excellent control light ! A great e beautiful window, opened for a wonderful landscape. Good photograph. Congratulations, Jorge Coimbra. A very good composition, excellent light ! Great composition and light control! Very well seen and taken, as usual!